Few athletes in Olympic history have reached such heights and depths as Marion Jones. After starring at the University of North Carolina and winning gold at the 1997 and '99 World Track and Field Championships, her rise to the top culminated at the 2000 Summer Games in Sydney, Australia. There, she captivated the world with her beauty, style and athletic dominance as she sprinted and jumped to three gold medals and two bronze. Eventually, though, her accomplishments and her reputation would be tarnished. For years, Jones denied the increasing speculation that she used performance-enhancing drugs. But in October 2007, she finally admitted what so many had long suspected -- that she had indeed used steroids. Jones was sentenced to six months in prison for lying to federal investigators and soon saw her Olympic achievements disqualified. Now a free woman, Jones is running in a new direction in life and taking time to reflect. I've always been a track enthusiast. I used to run track in high school and, actually, got offered a track scholarship from the Pomona-Pitzer colleges, but I decided to go to USC and study film instead. But it's always been an interest in me -- running and runners and that whole drive to hone the body to perfection, to gain the most speed and the competition of speed amongst runners. So, this is just a natural topic for me. My film on Marion Jones chronicles the arc of her long journey through becoming a world class athlete at the top of her game, at the top of the world stage, with all eyes of every country and the eyes of the whole athletic world on her for a positive reason to a moment in time in which she had those same eyes on her for a much darker reason. It's an exploration of a person who is still evolving and who, I think, is a symbol more so than any other sports figure out right now of where sports has gone and where it is going. Marion Jones was jailed for six months, in part, for lying to investigators about using performance-enhancing drugs. I thought it was very interesting that this black woman -- gotta call it what it is -- was jailed where few if any other athletes, no matter the sport, have ever served any time for their involvement with steroids. For me, this is a story that transcends the world of track and athletics because this is that moment in time where you tell even your own children that nothing good comes from lying, you should always tell the truth. Marion had one moment that she had the opportunity to tell the truth, where her life was in one place and then, after that moment, her life went into a whole other place. I think that this happening to her is going to move her into a whole other zone in terms of someone to look to for a different form of heroism. The best sports stories are always those that start in athletics and then transcend it and are almost a commentary on the human condition and that's what I think that this story is. 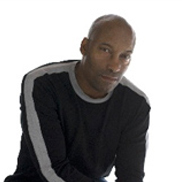 A native Angeleno, John Singleton is a director, writer and producer best known for his Oscar-nominated film, "Boyz N the Hood." Singleton graduated from the University of Southern California's FILMIC Writing Program in 1990, having already signed with the Creative Artists Agency during his sophomore year. In 1991, "Boyz N the Hood" brought Singleton not only commercial success but also two Oscar nods for Best Director and Best Screenwriting. He is the youngest person and only African-American to be so nominated. Singleton followed the success of "Boyz" with such hits as "Higher Learning," "2 Fast 2 Furious," "Four Brothers" and the independently financed "Hustle and Flow." Singleton has also distinguished himself by directing several music videos including Michael Jackson's "Remember the Time," and establishing the acting careers of hip-hop artists such as Ice Cube and Tyrese. Singleton is proud to be a storyteller with ESPN's "30 for 30" series by highlighting the life of Marion Jones.